Call Beautiful Rooms now for the price on your favorite Designer Furniture Brands. 800-281-9071. Actual fabric and finish colors may vary by monitor. 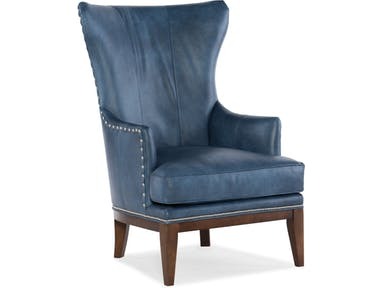 Product Description The Taraval Stationary Chair is offered in hundreds of leather options and includes a standard nailhead trim #9 and #54 in natural finish. Other decorative nailhead finishes are available. Comes with a standard mahogany finish but other finishes are available. It features a tight back and a high resilient foam seat.